Every fighter who steps in the octagon realizes there will come a time when they have to hang up the gloves. They’ll no longer be able to keep up in the octagon, and it’s time to retire. 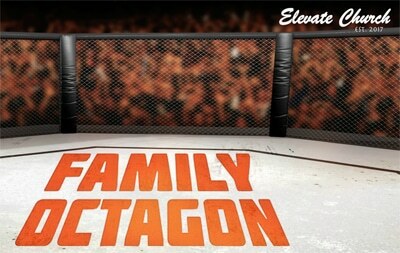 But with the family octagon, the fight for the family never ends. We will take a look at how adult children need to deal with adult relatives, parents, and in-laws. Because when it comes to God’s strategy for our families, the truth is that we’ve got to learn when it’s time to transfer the title.